With the craft beer market exploding to capture the largest gains in alcohol sales, Toronto has been no slouch in providing a hot bed for this expansion. 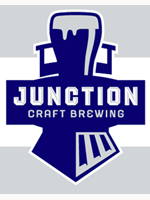 One of the newest breweries set to launch next week is Junction Craft Brewing. Named after a Toronto neighbourhood that was founded in 1884, Junction Craft Brewing President Tom Paterson and Brewmaster Doug Penegelly are getting ready with to let the public taste their initial offering, Conductor's Craft Ale. A Pale Ale with a complex hop character that gets more complex as you enjoy it. Tom opened La Hacienda on Toronto’s Queen Street West in 1988, serving real Mexican food and craft beer. (“What there was of it back then.”) Ten years later he opened his second restaurant, The Paddock Tavern, an old juke joint from the 1940s that had fallen into complete ruin. One of the craft beers he carried at The Paddock was made by Doug Pengelly. The two hit it off and the foundations for Junction Craft Brewing were laid. When not working or ferrying his kids around town, Tom can be found playing hockey or guitar with his band Stormbringer. Doug studied chemistry at Carleton University, got into home brewing, and then got so into brewing. He completed the brewmaster program at U.C. Davis. A member of the Institute of Brewing and Distilling, he set up Saint Andre Brewing in 1999 to brew commercially. Doug works as a consultant and is a teacher in the brewmaster program at Niagara College. Interested in “how things work”, he bakes his own sourdough bread, restores old French Citroën autos, makes his own circuit boards, and is handy with a welding torch. Keep your eyes peeled for event all over Toronto next week. This Pale Ale sounds promising.Looking forward to tasting it!